Hey guys. Long time no see. I see a falcon, a y wing, cool baseplate, and a star destroyer. Looks super neatly stored, great condition, looks like a really good deal. 5$/lb is pretty good. Usually don't see less than 8-10$/lb on ebay anymore. 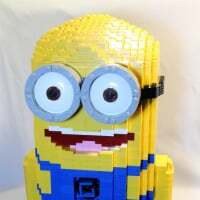 If you're confident it's all LEGO (no imposter bricks), it's even better. And there's some good parts/sets in there... I would say it's a worthwhile deal to take if you're looking to expand your collection. In all seriousness that looks like a very good deal, especially if those boxed sets are new & sealed. 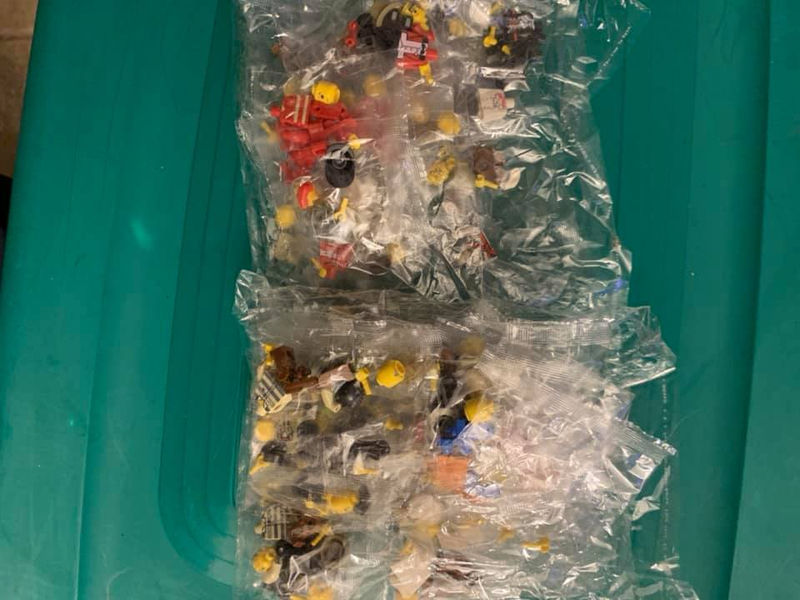 I'm not sure if the minifigs are fake or not, but they all seem to be completely dismantled, so even if they're real LEGO, they'll probably be really loose when reassembled. But overall, I'd say it still looks like a good deal. Agreed. I would say all minifigures are fake in that last picture - all bagged and disassembled (all body pieces separate including arms and hands). ^ A lot of the fake figs come with the torso's disassembled like that. It isn't that common to see lego figs that way even when used. Plus if they are new in bags like that, it isn't a way LEGO packages figs. So the likelihood of them being genuine LEGO is low. 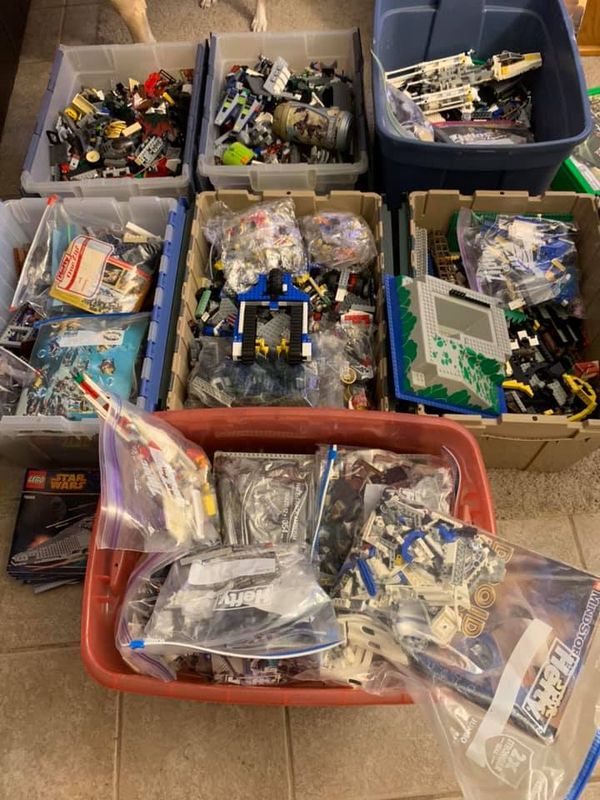 Too much Bionicle and old Mindstorms for my liking, but here does look to be a BSB in there, but probably the re-release due to the era these Lego sets are from. Although the photos are clear, the faces on a few of those visible figures look suspect to me. I'd ask for some up-close photos of the top of the neck of a torso, and of the heads. Or I'd be looking for the figs to the LotR ship. As it is, it's rather hard to tell how much is genuine and how much isn't. The figure are suspect like most people said, and it's too hard to tell with the other pictures. Depending on what else is in the lot, getting a few fake pieces wouldn't worry me, but I'd still do more research before jumping on it. 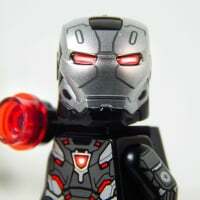 Beyond the question of the minifigures, I don't see any glaring evidence of non-LEGO among the boxes of parts. 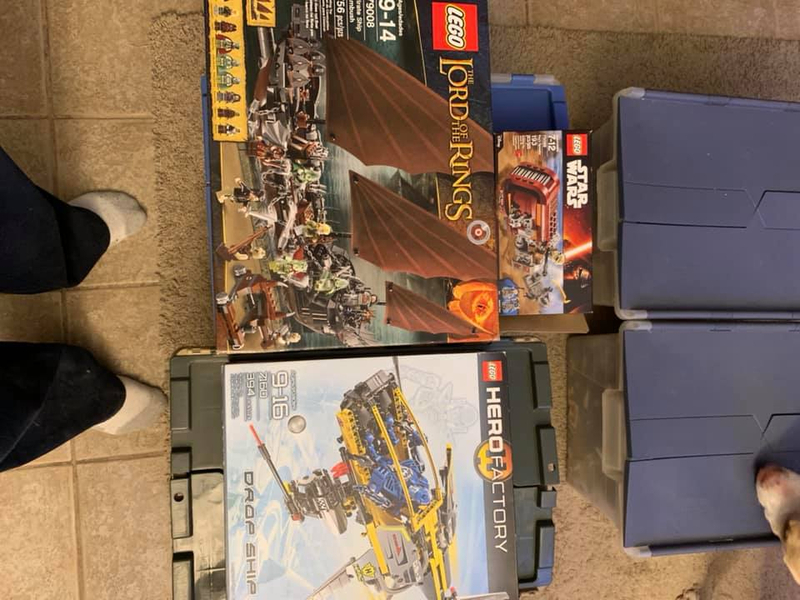 It looks like there are indeed many sets that might easily be reassembled, but even if there were none, I'd still be in for a large lot at $5/lb. any day. That is exactly how some companies fake figures come - totally dismantled in those sealed crinkly polybags. Others come with the torso and legs assembled but arms off. I'm 95% certain they are fake - and yes, they do fake minifigures worth $1. Yeah I’m almost certain they are fake. A lot of cheap off brand figs are packaged like that, & LEGO never has (as far as I’m aware). I wouldn’t be too worried about the rest of the lot, as those appear to be figures only not figures from fake sets. If you look on eBay there are many listings for cheap “city” figs like that. Thanks for your input guys. It does look like a good deal, especially with the totes. I might go inspect it to see what is actually there. ^ I was going to hand out cigarettes to the kids this Halloween, but that's an even better idea! 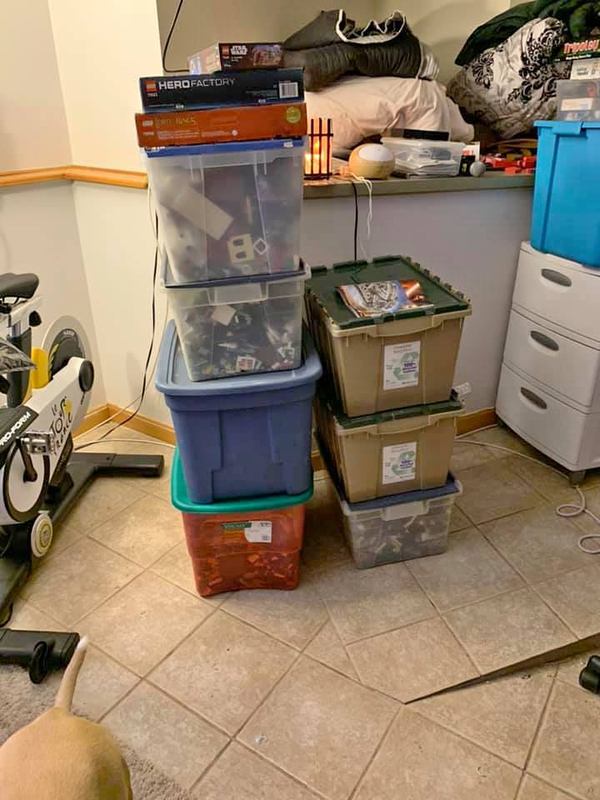 ^Yeah, I believe there is a Droid Developer Kit in there. I have a Mindstorms set, what's the draw? It is just a computer and a bunch of Technic parts and gears right? It is just a computer and a bunch of Technic parts and gears right? LEGO is just a bag or plastic, a few stickers and an instruction sheet. Shhhhh! We try not to think about that!